Instead of using hammers and nails, use command hooks to complete these projects. Check out these DIY Command Hook Ideas! Command hooks are easy to fix, leave no sticky residues behind, and are made to withstand extremes of temperatures. Create a DIY trellis to support your climbing plants by using twine and command hooks. The step by step DIY is here! 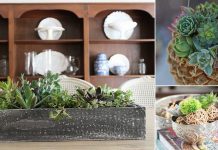 Express your love for gardening in your kitchen without wasting counter space or turning the window sill into a container forest. 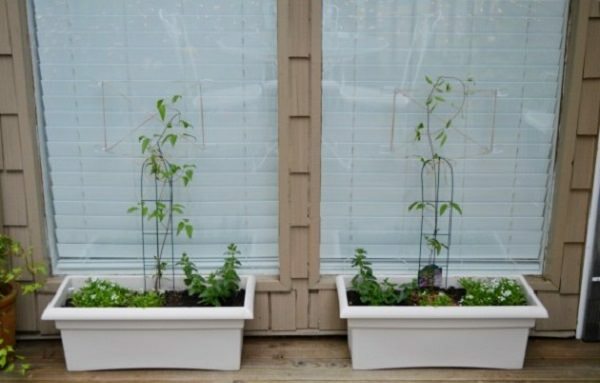 Create a vertical garden along the side of your cabinets. A few plastic pots, command hooks and some paint are all you need. Click here to see the DIY! 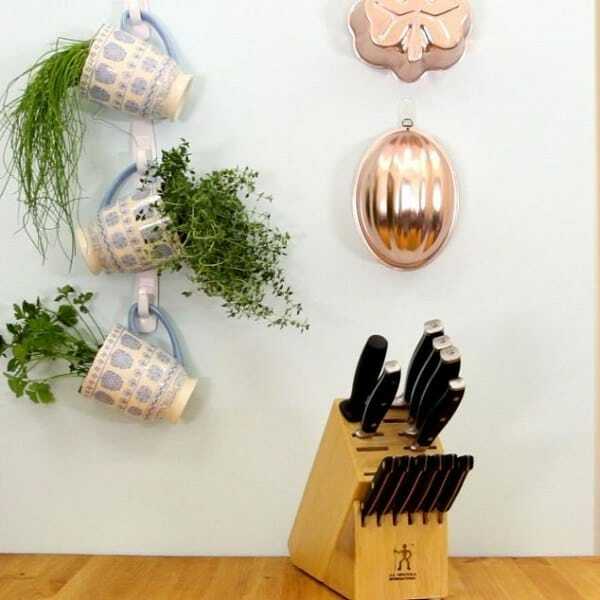 Growing herbs in your kitchen, if it receives a few hours of sunlight vertically by making this Do-it-yourself hanging herb garden using command hooks. Learn more here! 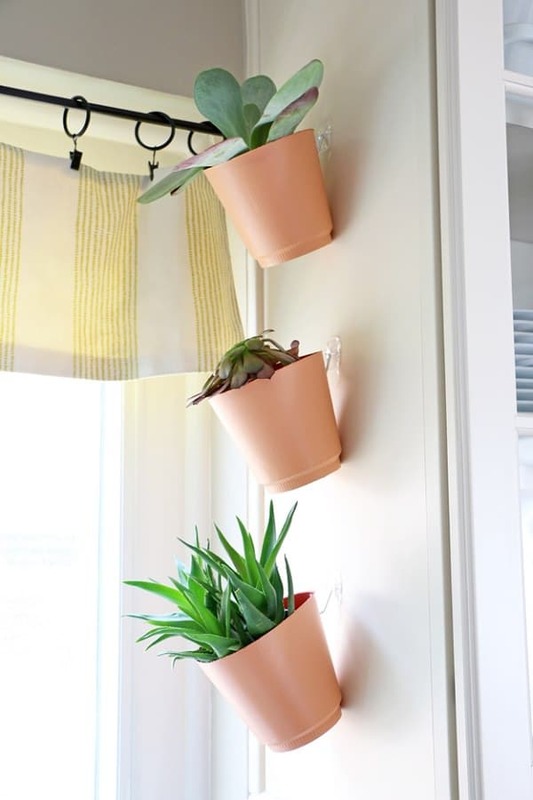 The small terrariums containing plants are held in place with the help of command hooks and can be interchanged with nursery pots. 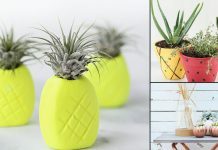 Air plants are great options for this project, as they are easy to maintain and pretty self-sufficient. 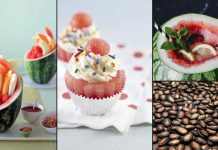 But don’t hesitate to experiment with succulents. Learn more here! This vintage colander has the typical feel of a countryside decor and is a nice substitute for a regular hanging planter. Hang it as a standalone piece on your porch, balcony or somewhere in your garden with the help of command hooks. The easy DIY tutorial is here to follow! Despite being heavy and hard to miss, gardening tools are easy to lose, especially if you have a whole lot of them and lack a storage spot for everything. 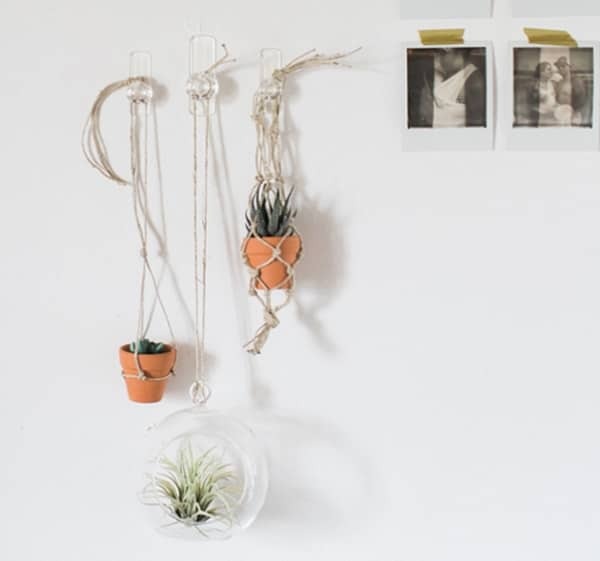 Hanging them up is a good idea, probably one the easiest DIY command hook uses to follow. Watch the how-to video here! Reward the winged and chirpy pollinators visiting your garden by creating attractive bird feeders and hang them up in places where they visit most. This project is also a lovely way to involve your kids in gardening. Click here to see the tutorial! Make your own lanterns with some quart size jars, LED lights and command hooks. Easy to assemble and dismantle, they are perfect for creating the right atmosphere for your next outdoor gathering. Learn more here! This snazzy outdoor sign serves to liven up your outdoor space. Here’s the step by step tutorial to follow! Painted with the brightest of colors, these hubcaps add a quirky twist to your garden wall or in your home at the rooftop. And command hooks give you the chance to hang up your creation. See more of it here!